Samsung is one of the most popular smartphone manufactures all over the world. This Korean company is known for introducing many budgeted smartphones in the market. 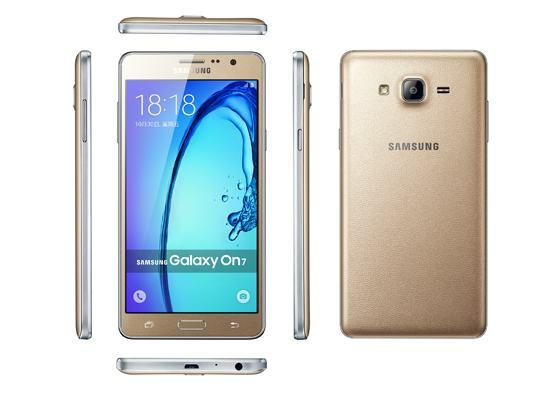 With an objective to rule the market, Samsung released its Galaxy On range in India few months back. The Samsung Galaxy On7 can be compared with the J series in terms of its design. 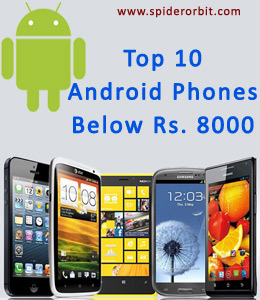 Moreover, the phone comes with a reasonable price tag so as to attract the mid- range buyers of India. The phone comprises of many handy and amazing features. Here we have briefly discussed some of the amazing features of this phone you can have a look on them. The Samsung Galaxy On7 boasts a huge IPS LCD display screen of 5.5 inch offering a screen resolution of 720 X 1280 pixels. The HD display offered by the device is vibrant and works well even while you go out in the sun. The Samsung Galaxy On7 has got quite stylish looks accompanied by smooth metal styled frame and a textured back. The phone comes in two different colors that are black and gold. The Samsung Galaxy On7 is powered by quad-core Qualcomm Snapdragon processor clocked at 1.2 GHz which is accompanied by RAM of 1.5GB that works well with the processor. This ensures the flawless functioning of the device. Moreover, this phablet runs on Android v5.1 Lollipop operating system which delivers seamless performance. The phablet comes with a rear camera of 13 megapixels along with LED flash which is ideal for capturing good quality photographs. The camera includes certain inbuilt features such as High Dynamic Range mode (HDR), face detection, touch to focus, geo- tagging and many more. The 5 megapixels front camera is decent enough for taking selfies and making video calls. The phone boasts an internal storage space of 8GB that can be further expanded up to 128 GB using a microSD card. The Samsung Galaxy On7 is equipped with a pre installed Samsung Milk Music app that includes hundreds of radio stations of Asia and Europe in order to keep you updated with the latest tracks and songs. It also comprises of Samsung Smart Manager which safeguards the device from any harmful virus, monitors the traffic and detect the status. This dual- SIM phablet is equipped with a 3000 mAh li-ion battery which is capable for offering sufficient power to the phone for multi-tasking functions. Samsung claims to offer 11 hours of talk time on a single battery charge. The Samsung Galaxy On7 is compatible with 4G networks and includes many other connectivity features like Bluetooth, Mobile hotspot, Wi-Fi, GPS and USB support. Samsung is always known for delivering quality smartphones to the users and overall we can say that Samsung Galaxy On7 is a quite handy device. With so many features that too at an affordable price of Rs.10,190 it is definitely worth buying. So, rush to your nearest online stores and try your hands on the stunning Samsung Galaxy On7.